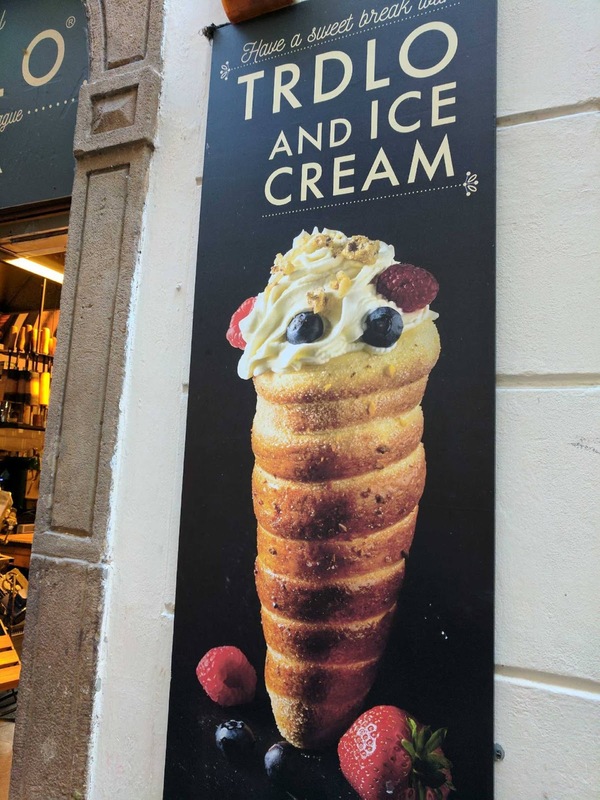 How can Kathy possibly lose weight in Prague? I arrived at least 5 pounds overweight. And after having read “Eat, Pray, Love” I didn’t want to have to go to an Indian ashram (Pray) to take off the weight I could put on in Prague (Eat). Well, not to worry folks. Dr. Oz—stand aside while I give our readers a little quiz. I’ve found the way to lose at least 3 pounds in 5 days. Not even Atkins Diet did that for me! Here are the popular ways. Read on to find out which ones actually worked. Oops! 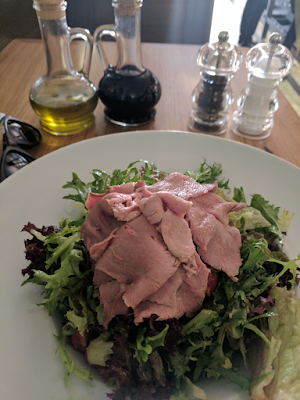 None to be found in the tourist-center of Prague except for salads that are the same price as protein. And even the tiny grocery store one hour walk away had no greens. Oh how I miss my garden! Can’t you fly me over a kale and mulberry smoothie?? Nope. Easier said than done. Tap water is not served in restaurants in Prague. Sure I got a nice pitcher of filtered water with floating cucumber and mint, but I got charged the same price as I would for a beer. I’ve resorted to carrying a collapsible water container in the back-pack and shamelessly pull it out at the restaurant. 3. Just say no to the bread. Well, that’s easy because there isn’t any. Rarely is it served with a meal and never with butter. 4. Eat high protein, ala South Beach. 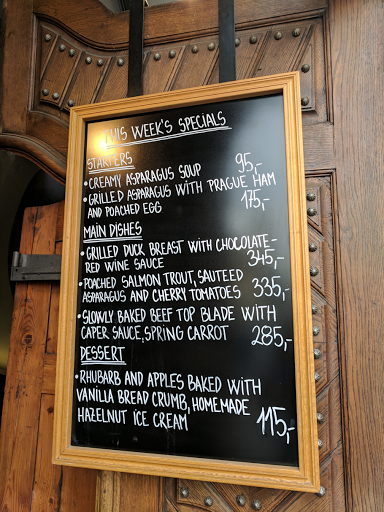 Well… beef goulash sounds like it might work, but it consists of small pieces of tender beef floating in a dinner plate of yummy gravy, all to be soaked up with three 4-inch diameter slices of dumpling. (Tubes of boiled dough.) Don’t eat the dumpling and you go away hungry. Foiled again! 5. Eat slowly and mindfully. 6. Pick the best restaurant. In this case, Restaurant Mincovna, with waiter Patrick, across from my lodging. Yum!! It’s a treat! See the above menu. 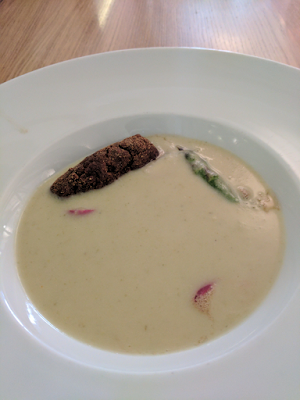 One can lose weight with the butter-laden asparagus soup and salad topped with sliced duck breast. Expensive food, small quantities .. and no bread. 7. Choose between music and food. I ask—would I rather spend $30 on a great concert ticket (and that is minus the discount they give to students --when I complained that seniors should get a discount too they gave me one for being a “student of life.”), I really weigh my values here, considering the "Budget." What will I savor longer? 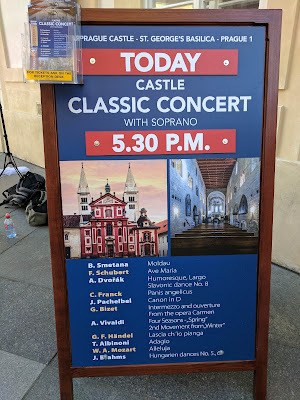 The exquisite 70 minute concert at the St. George’s Basilica at the Prague Castle where I could swear the heavens were resounding. Perfect acoustics! Eight hundred years of exhilaration vibrating in the walls? Or a four course meal? My decision – forgo breakfast for a week and savor the music. Nope – full kitchen here, minus hot water, but as above—no grocery store. 9. The answer, ta da!! Get this Dr. Oz! 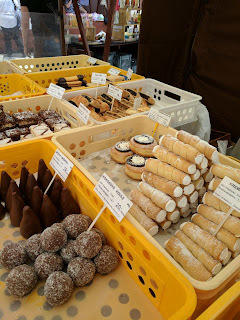 Is to set a budget and treasure every crumb of food your budget allows. Forget whether it is carb or protein or butter. And walk… That’s right, WALK!!! The 6 hour a day tourist foot-dragging shuffle. It works! After just 5 days the pants are loose and I wish I’d brought a belt.